WANT TO PLAY FOR HARPER? 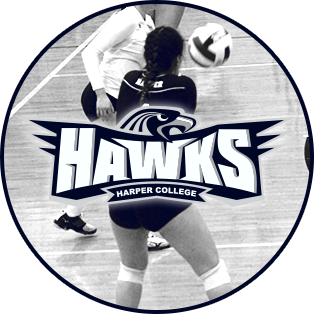 If you are interested in playing for the Harper Hawks Women's Volleyball team or interested in learning more about the program please visit the link and fill out your information. Vilsoet is entering his 17th season at the helm of the Harper College volleyball program in the fall of 2018. Since he became head coach in 2002, the Hawks have posted a 486-256 overall record, including a 121-40 mark in N4C play. Vilsoet has earned plenty of hardware during his tenure at Harper as he is a six-time District Coach of the Year, five-time Regional Coach of the Year and four-time Conference Coach of the Year; plus 2016 National Championship (Heidi Hutchinson) Coach of the Tournament; the American Volleyball Coaches Association (AVCA) 2016 Regional AND National Two-Year College United States Marine Corps (USMC )Coach of the Year, and AVCA 2017 Regional Coach of the Year. In 2016, Harper College won the NJCAA Div III National Championship with a 43-1 record overall and 12-0 in N4C Conference, and in 2017 went to the National Championship match again and was the NJCAA Div III National Runner-up with a 37-6 overall record; and 12-0 in N4C Conference play again. Both years, Harper College finished the regular season ranked #1 in the National Poll. Vilsoet’s teams have won the Region IV Tournament six times. At the NJCAA National Tournament, Harper won the National Championship in 2016, and lost in the National Championship final match in 2017. Harper finished in fourth place three different times (2002, 2005 and 2008). Vilsoet also has a track record of developing players as he has coached 18 All-Americans; most recently in 2017, libero Ariana Chelini, middle hitter Sarah Udoni, and right side hitter Ellie Burzlaff who was also named Conference Player of the Year. In the offseason, Vilsoet coaches at Sky High Volleyball Club (since 2004). Sky High Junior Olympic teams practice at theCanlan Sportsplex in Lake Barrington; Sky High regional teams practice in Palatine here at Harper College and in Hoffman Estates at Prairie Stone Sports and Wellness Center. A former Midwest Volleyball professional sand doubles player, Vilsoet was named Midwest Volleyball Professionals (MVP) Amateur Sportsman of the Year in 1996. He has been playing in various leagues for over 30 years in the Great Lakes Region and is also IMPACT certified. Currently, Vilsoet has 24 players that are currently playing in College or at a University after Sky High club or Harper College volleyball seasons. Vilsoet has a Master’s Degree in Business Administration (MBA) from Northern Illinois University, which he obtained in 1994. He also has a Bachelor’s Degree in Computer Science and Mathematics (double major) from Illinois State University in 1980. Before ISU, Vilsoet graduated from Harper College in 1978, with both an Associate Degree in the Arts, and an Associate Degree in Science. Jeanie Behrens is entering her eigth season as an assistant volleyball coach at Harper after being on head coach Bob Vilsoet's staff in 2005 and rejoining in 2009. 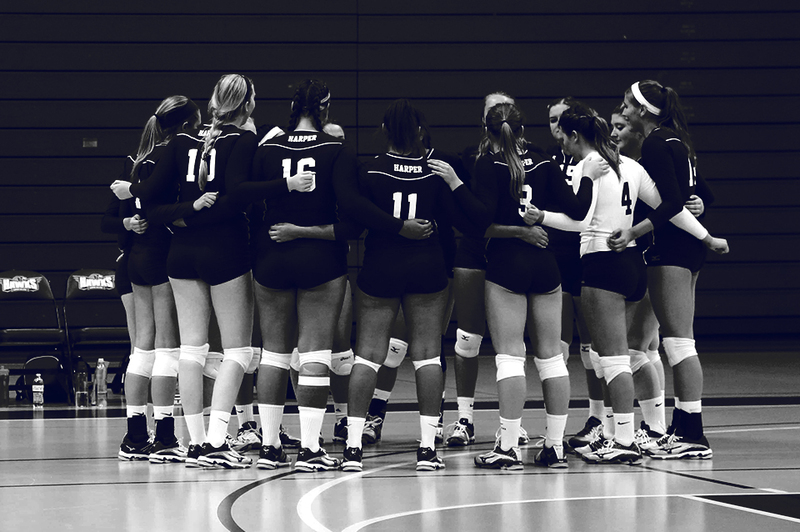 Behrens is currently the Club Director and Head Coach for the Team Illinois Volleyball Club based in Schaumburg, IL. Behrens is a certified United States Amateur Volleyball (USAV) and Illinois High School Association (IHSA) referee. As a player, Behrens was Harper’s setter in 2002 and led the nation in assists. Behrens is still in the Harper College record books for assists in a 3-game set, and a 4-game set, and she is fourth in Harper College history for career aces. Follow the Harper Volleyball team's Instagram page for some fun and unique pictures of the team! Like the Harper Volleyball team's Facebook page to follow along with the season! Interested in playing for Harper? Visit the Official website for Harper Sports and the National Champion Volleyball team!